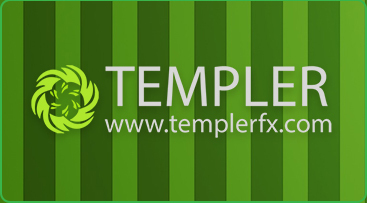 Templer's 2011/2012 Christmas and New Year Bonus Campaign. All current and new Templer clients are eligible to take part in Templer’s 2011 Autumn Bonus Campaign. Qualifying clients earn a 10% bonus credit on all deposits between October 3rd and November 3rd up to a cumulative bonus amount of $2500 per account. Get an extra +1.5% Bonus for bank wires! Amendments to Bank of Cyprus bank details. Please note that the Bank of Cyprus account format for Cypriot accounts has changed from 14 digits to 12, by the removal of the last two digits. Banking transfers will not be completed if you don’t use the new bank account format. Since 01/09/2011 our customers are able to withdraw money to their bank cards. Since 03/08/2011 funds can be withdrawn through Contact money transfer system. Contact functions since 1999 and now is a chain of 54’000 service points in over 100 countries around the world and covers over 700 financial institutions. The quality management of the company is certified by BVQI ( Bureau Veritas Quality International ,ISO 9001:2008). Withdrawals are processed within 24 hours. Fees applied. Deposits via bank cards are automatically and instantly credited your accounts now. Click on the link to access the credit card deposit page. Deposits to Micro,Mini and Standard accounts will be credited immediately. Deposits with incorrect details and payments with "on check" status are credited manually within one day.In case of delays, please feel free to contact our online tech.support chat representatives. All current and new Templer clients are eligible to take part in Templer’s 2011 Summer Campaign. Qualifying clients earn a 10% bonus credit on all deposits between July 4th and August 4th up to a cumulative bonus amount of $2500 per account. All current and new Templer clients are eligible to take part in Templer’s 2011 Spring Campaign. Qualifying clients earn a 10% bonus credit on all deposits between March 15 and April 15th up to a cumulative bonus amount of $2500 per account.